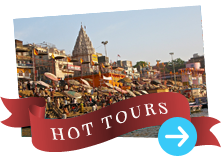 Hotel India Varanasi, Book Online Hotels, Online hotel booking. "Hotel Lara India" A superior class hotel, is a newest addition to one of the oldest living cities- Varanasi or Banaras. The four floor hotel is conveniently located just about on the way to holy Kashi Vishwanath Temple and Dashashwamedh Ghat – the center of tradition and culture of India and is 3 kms away from railway station and 20 kms from airport. All other tourist attractions like Sarnath, Banaras Hindu University, Kashi Vishwanath Temple, Dashaswamedh Ghat (MainGhat), Manikarnika Ghat (Cremation Ghat), Tulsi Manas Temple, Ramnagar Fort are at convenient distance.In Varanasi, Hotel Lara India is recognized as the premier hospitality provider, spanning the length and breadth of the city, and gracing important industrial towns and cities, beautiful Ganges's banks, historical and pilgrim centers, and wildlife destinations. We provide 24 hours room service, Travel Counter, Safe Deposited Lockers, Credit Card Accepted, Same Day Laundry and Pressing, Doctor on call, STD & Fax services, Pager on rental basis Air-conditioned with generator facility, elevator, in house travel counter medical assistant, transportation round the clock. Possessing it's 30 luxurious rooms inclusive of air-conditioned and suits apartments, provides visitors with all the modern amenities for an unforgettable stay. Rooms with individual colors TV (with satelight channels) telephone and attention from the room services round the clock brings the distance very close and comfortable. The attached bath rooms are clean and compact with running hot and cold water. "AROMA" a well decorated air-condition restaurant. Caters delicious Indian, Continental and Chinese cuisine to the maximum satisfaction of the guests from 7 A.M. to 11 P.M. every day. A haven of peace and tranquility in the bustling temple city, Hotel Lara India offers the perfect combination of elegance and timeless hospitality. Hotel Lara India is a veritable haven of peace and calm in the heart of this crowded, ancient temple city. Nearby, guests will find much to see and do including visiting the Buddhist pilgrimage centre and the famous temples at Varanasi. Our Hotel is located at Godwalia in the way of Holy Kashi Vishwanath Temple and Dashashwamedh Ghat, Varanasi in a peaceful environment within the heartthrob of the city but far madding crowed. The Hotel Lara India has tried to feel the actual essence of INDIA. 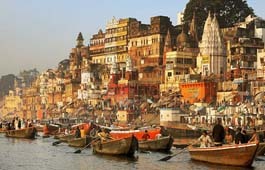 The quiet & tangibly of the ancient city on the bank of the Ganges, combined with luxury & comfort of class Hotel. Hotel Lara India one of the most convenient stay in Varanasi pregnant with modern *** STAR amenities provide you all the ingredients of peaceful and satisfactory environment. A state of art building with the facilities like 24hrs room service, attached bathrooms, travel desk etc. provide you to feel the concept of all facilities under one roof. Hotel Lara India has a long list of satisfied guests. Hotel Lara India has tried to feel the actual essence of INDIA. The quiet & tangibility of the ancient city on the bank of the Ganges combined with luxury & comfort of class hotels is not a dream we are talking about, but the best quality of the Hotel Lara India, Varanasi. Hotel Lara India offers range of elegant rooms with oriental decoration, the best in the hospitality and tourism facilities.